There is a relatively new subgenre of Christian music called "praise music," named perhaps by those unfamiliar with the doxology and other staples of mainstream Christian worship. The concept of praise is nothing new for Rastafarians. 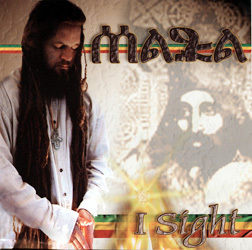 They've been praising Jah (God) for years, and the artist Maka upholds the tradition with this beautiful album of reggae. Several songs praise Jah directly; others honor Him in His physical manifestation as Haile Selassie I, emperor of Ethiopia. One or two others extol the use of marijuana -- presumably in an appropriate Rastafari religious context. Contemporary religious music is, alas, sometimes nothing more than earnest testament set awkwardly to whatever music is available. Maka and his musicians deliver the Word with enough melodic variations and solid rhythms to make "I Sight" interesting musically as well as for its spiritual content. Local "kanakafarians" will probably not understand some of Maka's references -- who Mussolini was, for instance, or why he was an earthly enemy of Jah Rastafari -- but the "riddims" have universal appeal. "High Grade," a catchy song which, unfortunately, uses "Cocaine" without crediting composer J.J. Cale, is the only blot on this excellent album. 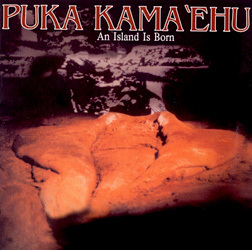 This new album will be of primary interest to hula students fluent in Hawaiian. The liner notes explain, in broad terms, that the chants address the endless cycle of life, death and rebirth. The kaona (hidden meanings) and shades of meanings in the language, however, are apparently too complicated to be translated into English. Whatever the reason, the lyrics are provided only in Hawaiian. "Hulihia Ke Au Ka Papa Honua O Kona Moku"
"E O E Mauan Kea"
Some old-time curmudgeon observed with acidic accuracy that it is impossible to underestimate public tastes. The release of this, yet another low-budget local anthology album, proves the point. Record labels don't survive as long as this one has by releasing vanity projects or by spending any more than necessary on albums like this. Give the producer credit for being a professional in at least including composers' credits and publishing info. But more information is provided about the guy who did the cover art than about the artists or the significance of the songs. While some of them need no introduction, others are unknowns. The songs included here are a hodgepodge of national hits, some decent material by local artists and obscure stuff that qualifies for the term "filler." 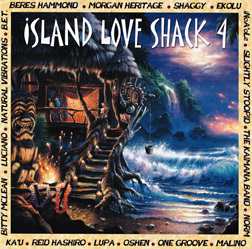 The "Love Shack" opens with its strongest track, "Angel," by Shaggy and Rayvon, and goes slowly downhill from there. As for the local acts, Natural Vibrations does Hawaii proud, as well as Norm and O-Shen. "I Want a Love I Can See," vintage Temptations material re-recorded by Bitty McLean and Rocky Brown for a previous Neos project, has aged surprisingly well. The best thing about this 18-song anthology is that at the sale price of $12.99, each song costs less than 75 cents. That makes it cheaper to buy the album than to download all the songs separately, assuming that a prospective buyer wants at least 13 songs.